When it comes to your oral health, tobacco – whether you smoke cigarettes or chew – is one of the worst things that you can do. Tobacco can lead to a variety of problems ranging from simple staining to gum disease and decay. So, as a parent, how do you explain the dangers of tobacco when your children can turn on the TV and see their favorite baseball players chewing it on the field? 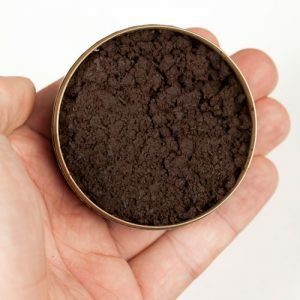 Today, more public health and advocacy groups than ever are requesting that cities and states prohibit the use of smokeless tobacco at baseball venues, especially by players in the MLB. It makes sense – not only are these players endangering their own health, but they are also setting a bad example for the impressionable youth who watch them and will possibly follow their lead. • Smokeless tobacco can be deadly. Chewing tobacco contains nearly 30 different cancer-causing chemicals, which can lead to oral, esophageal, and pancreatic cancer. • More children are using chewing tobacco. According to the CDC, as of 2013, nearly 15% of high school boys reported current use of chewing tobacco. • Baseball reinforces tobacco advertising. Chewing in baseball sends the message to boys that they can’t be real men unless they use chewing tobacco. Also, in 2011, chewing tobacco companies spent $450 million on advertising – more than three times the amount that they spent in 1998. Additionally, professional baseball players serve as role models for young boys and teens. If they see the star pitcher on their favorite team chewing tobacco, it sends the message that they should be doing the same thing. Public health officials believe that if the MLB isn’t going to take steps to stop the use of tobacco on the field, it is time for local and state governments to step in to restrict tobacco use in ballparks. Please contact us if you have any questions about tobacco use and your oral health.